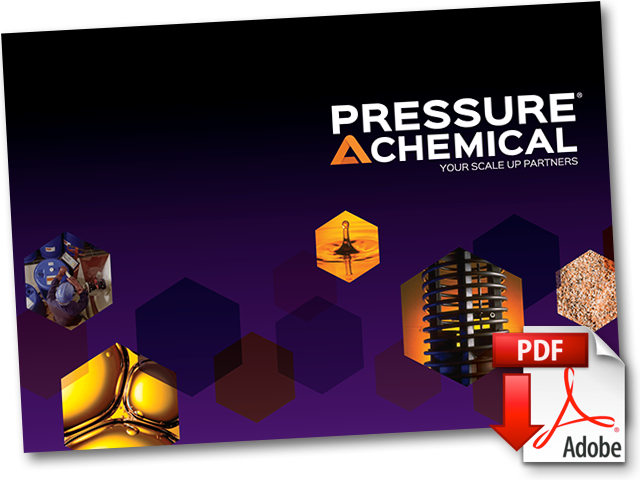 Pressure Chemical’s skilled and experienced team coupled with our robust facility enables us to collaborate with your company on process development and optimization challenges, piloting and scale up needs, and custom contract manufacturing requirements of hazardous chemistries. Pressure Chemical can complete your most challenging projects in a safe, confidential, and timely manner. Your probability of success increases by leveraging our scale up experience and skilled operators. We have the skills and the regulatory permitting to confidently handle diverse hazardous reagents and high value materials. We have the unique ability to operate high pressure processes up to 4000 psig. We perform a wide variety of chemistries with specializations in block co-polymers, hydrogenation, hydroformylation, lubricant and cosmetic esters, and olefin selective chemistry.